A: In all honesty, fishing on the White River is always good. Even if you have never fished for trout before, we can almost guarantee that you’ll catch fish. Q: When is the best time to fish the White River? A: That really depends on how you like to fish. You can always catch fish on this river. If you’re looking for trophy trout, based on the pictures on our bulletin board, most big fish are caught in February, March, April, and August. A: The White River is managed by the Corp of Engineers at Bull Shoals Dam. The Corp of Engineers release water into the river based on flood control and energy demand. When they “turn the river on”, the current of the river will depend on how many generators were required to operate. We usually see more water being released or generated February through July. The beauty of our location is that we are far enough down river from the dam that when water release begins, it takes about 4 hours for the water to reach our dock. That gives our anglers the opportunity to fish both low and high water conditions. Q: Can I wade into the river to fish? 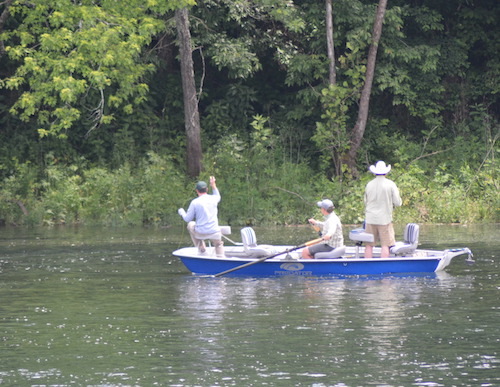 A: Wade fishing in front of the resort is excellent, water conditions permitting. Q: Can I fish off the bank? A: Yes!!! We even see folks catch trophy trout off the bank. Q: Can I catch as many fish off the bank as I can from a boat? A: If they are generating any water at all, you really need to be in a boat to maximize your opportunities. However, when the river is low you can catch just as many fish off the bank. Q: Where do they stock the river? A: The most popular point for stocking the river (in our opinion) is right off our ramp in front of the resort. Additionally, there are several points along the river where fish are stocked. Q: What size of fish will I catch? A: Most people catch pan size trout. There is an abundance of trophy trout in the river. In fact, several big fish have been caught in Rainbow Hole, which is right in front of the resort. Your chances of catching a trophy are good, but out of respect for the fish, “they didn’t get big by being dumb”. Q: What bait should I bring with me? A: You really don’t need to bring any bait with you. 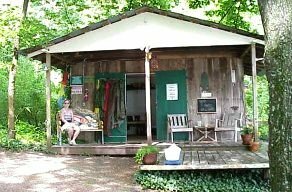 We have a fully stocked bait shop on the property that has all the bait you’ll need to catch those famous white river trout. Q: What’s included with the boat rental? A: Our 20″ jon boats include padded swivel seats, one net, two paddles, two anchors, one drag chain, one throw cushion, and life vests. Q: What size motor should I bring? A: We recommend an 8 to 25 horse power motor. A: We have boats to rent here are the resort. If you do bring your own boat, use of the public launch ramp a mile up the road is required. A: Anyone 16 years of age and older must have a fishing license and a trout permit in order to fish on the White River. 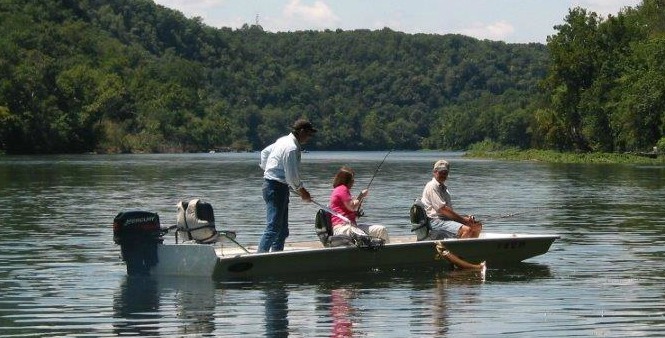 For the latest fishing regulations please visit the Arkansas Game & Fish web site. 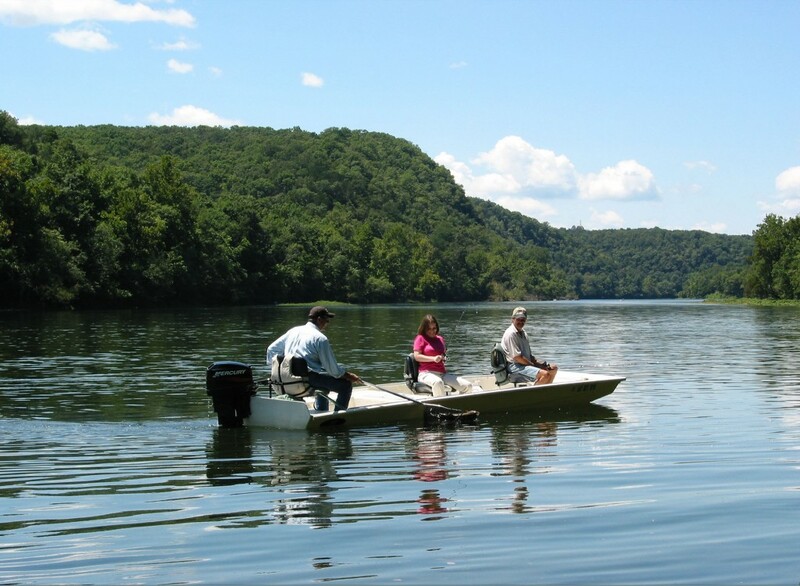 You can also purchase a fishing license and trout permit online. Q: How many fish can I keep? Arkansas Game & Fish web site. A: We always recommend a guide if you’ve never fished the river before. That way you’re almost guaranteed to catch fish and learn how to safely fish the river. Q: Voluntary Catch & Release Program? We are strong supporters of the voluntary catch and release program. Any fish that is 18″ or larger becomes eligible for a printed certificate and pin to display on your fishing hat or vest.